Gorgeous hair from your scalp to your ends, with only the best natural ingredients. Rene Furterer is an expert hair care brand that’s already made huge waves in the US and its native country, France, and it’s about to change your entire perception of hair care. We’re all searching for the answer to healthy, glossy hair with natural bounce, and a hair routine that’s low-maintenance with great, visible results. French stylist Rene Furterer was also looking for natural solutions for the hair and scalp, and became familiar with the qualities of plant and essential oils early on in his childhood. With the core concept of ‘beautiful hair grows from a healthy scalp like a plant in a fertile soil’, Rene focused his efforts on revitalising hair from the roots, opening his first spa for hair in Paris in 1957. 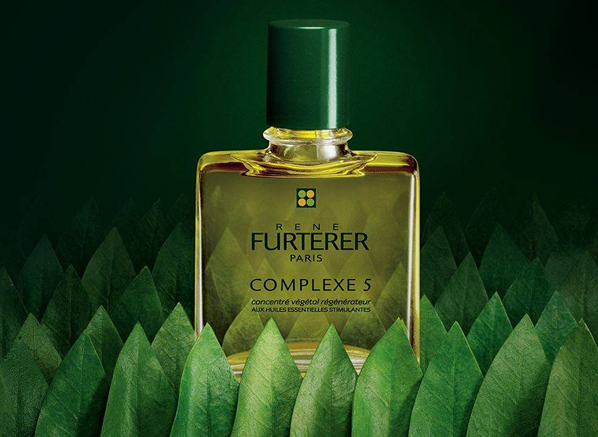 Today, the Rene Furterer brand is part of Pierre Fabre Laboratories, worldwide specialists in phyto-cosmetology, which allows the brand to continue to incorporate the finest essential oils and plant extracts from all over the world in to their products. My hair is already lusting after the soothing and purifying properties of Rene Furterer hair care, and no one will be left out as all products are packed with carefully selected ingredients to address every single hair type. 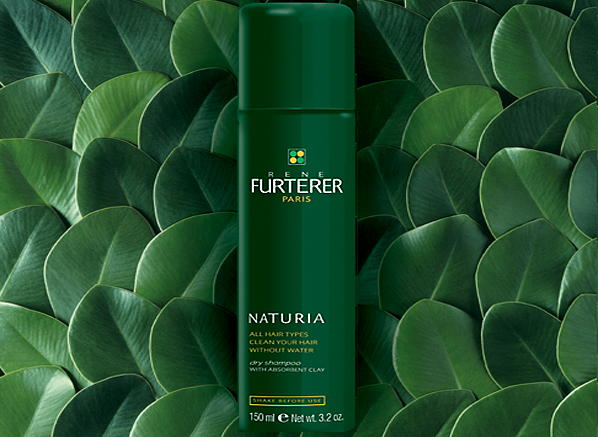 Backing the Rene Furterer belief that great hair starts at the scalp, it’s important to care for your hair from roots to the ends. Using nourishing products on your scalp is both relaxing and reviving – your scalp will thank us later! The Complexe 5 Essential Treatment is a toning treatment that will stimulate the scalp to promote healthier strands. Hair that needs a little extra TLC will reap the benefits of this treatment, and will be left strengthened, toned and revived. Fluidity and shine are top of the wish-list when it comes to many people’s hair-prayers. Having hair that’s easy to style is half the battle in the morning, and a targeted shampoo for your hair-type can be the ultimate solution. For unruly and untamed hair the new Lissea Smoothing Shampoo will tame unwanted frizz and volume. Sulfate-free, the smoothing shampoo will add the fluidity back in to your hair and that bounce we’re all searching for. Thinning hair can be linked to many things, including ageing, stress and a poor diet. Finding a product that encourages hair growth and slows down the hair thinning process can have an excellent effect on both your outer-appearance and self-confidence. 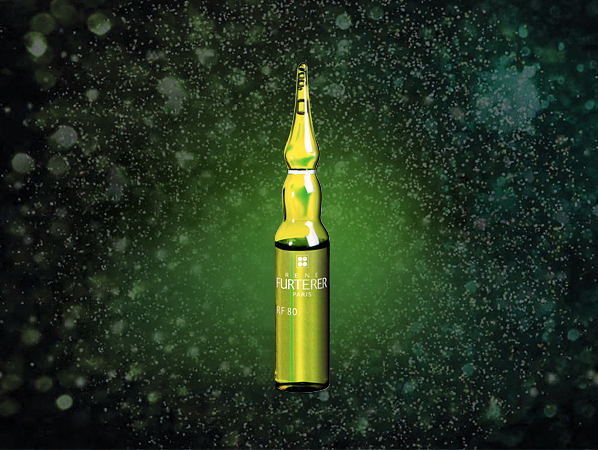 The RF80 Solution is one of Rene Furterer’s cult products. The superstar scalp treatment that kick-starts hair growth, with nutrition-boosting ingredients to add volume and shine, leaving your scalp in the best possible condition for hair-growth. Protecting your hair from heat is a step missed out by many. Luckily for those of us in that category heat protection is a single spritz away. 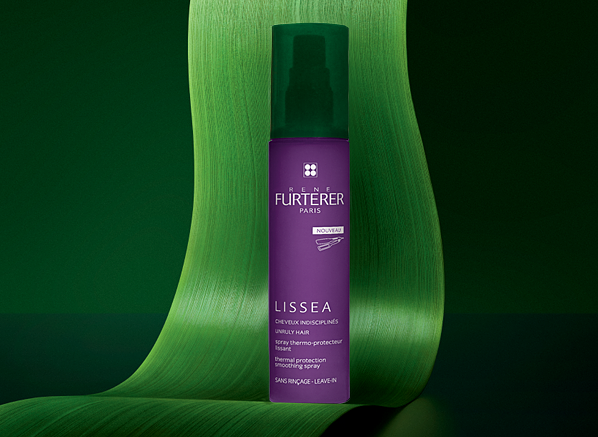 The Lissea Thermal Protecting Smoothing Spray is a new product from Rene Furterer with heat protection of up to 220°C. As summer approaches this Smoothing Spray also has anti humidity benefits, for long-hold smooth and sleek hair whatever the weather. We don’t have the time to shampoo and condition our hair everyday, so sometimes we need a quick solution to lack-lustre locks. The Naturia Dry Shampoo is the perfect morning-rush product, a quick spritz or brush through the hair, and hair will be instantly revitalised and looking great. The ultimate quick-fix product, I always carry a dry shampoo with me for on-the-go touch-ups when my hair is in need of a boost. This entry was posted on Monday, April 13th, 2015 at 12:37 pm and is filed under French Pharmacy, Haircare. You can follow any responses to this entry through the RSS 2.0 feed. You can skip to the end and leave a response. Pinging is currently not allowed.